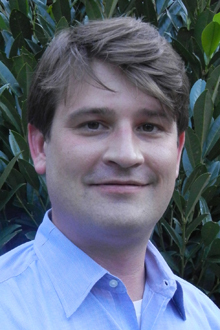 William Kaiser, an incoming faculty member in Emory University School of Medicine's Department of Microbiology and Immunology, has earned an Early Independence Award from the National Institutes of Health. The five-year, $1.9 million award will support Kaiser’s research on "programmed necrosis," a cellular process important in viral infections, inflammation and immune disorders. Necrosis is a form of cell death scientists previously thought was unregulated. Kaiser was a Microbiology and Molecular Genetics graduate student in the laboratory of Ed Mocarski, PhD, Robert W. Woodruff professor of microbiology and immunology. Working with Mocarski, he investigated the roles of the proteins RIP1 and RIP3, which drive cells into an orchestrated process of programmed necrosis. "Our results suggested that RIP1 and RIP3 may underlie or exacerbate a number of human diseases, and understanding how they function could be critical for designing new therapies," Kaiser says. The Early Independence Award program was established in 2011 and is given to exceptional early-career scientists who demonstrate "the intellect, scientific creativity, drive and maturity to flourish independently without the need for traditional postdoctoral training," according to NIH director Francis Collins. Kaiser is the first Emory researcher to receive an Early Independence Award, and is one of 14 young scientists to receive the award this year. More information about the awards is available here.